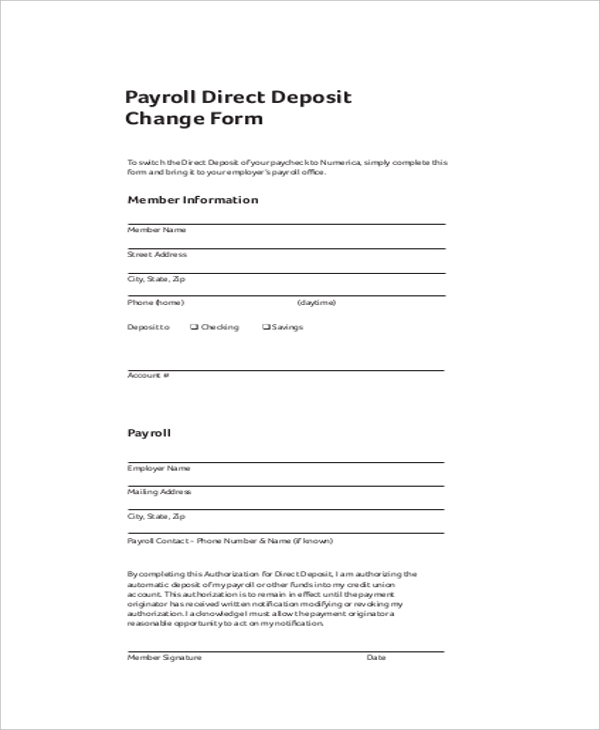 Because payroll direct deposit is a convenient way to receive payments from your boss, you can use this form to give your employer the right to pay you through this method. The convenience of direct deposit it the best means of receiving payments every month. You, therefore, should use this template to request your boss to start paying your dues through ACH. Whether you receive payments every week or you get money each month, it would be best if you requested a direct deposit instead of payment in the form of a check. Use this form if you would like to request for direct deposits. 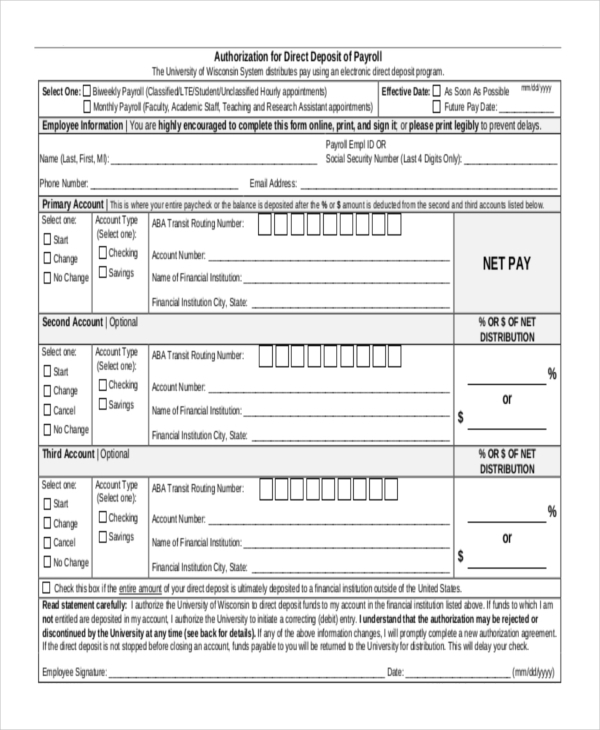 If you are an employee who prefers receiving payments via direct deposit, you can authorize your employer to make payments using this method, and the best way to do that is by filling this form. 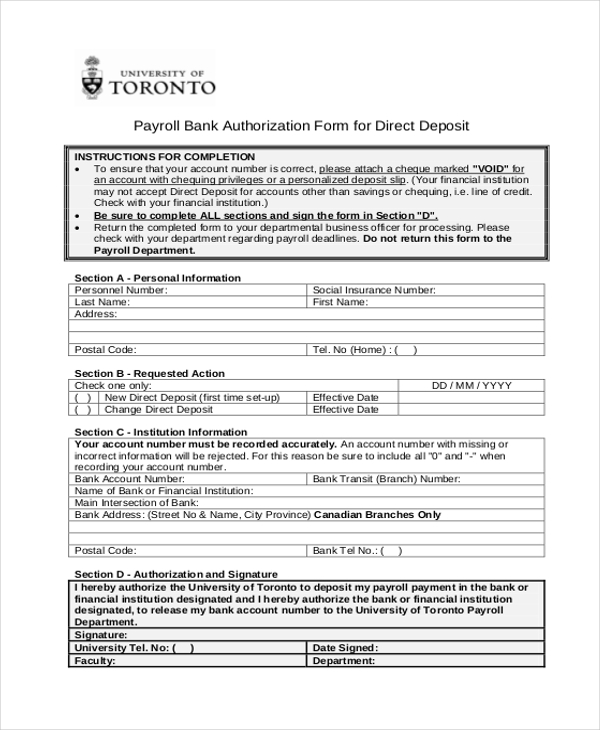 By giving the university the right to pay your dues via direct deposit, you will be able to get your money the same day employers send payouts to other members of staff. Many members of staff prefer direct deposits to check payments because the method is fast, efficient, and reliable. 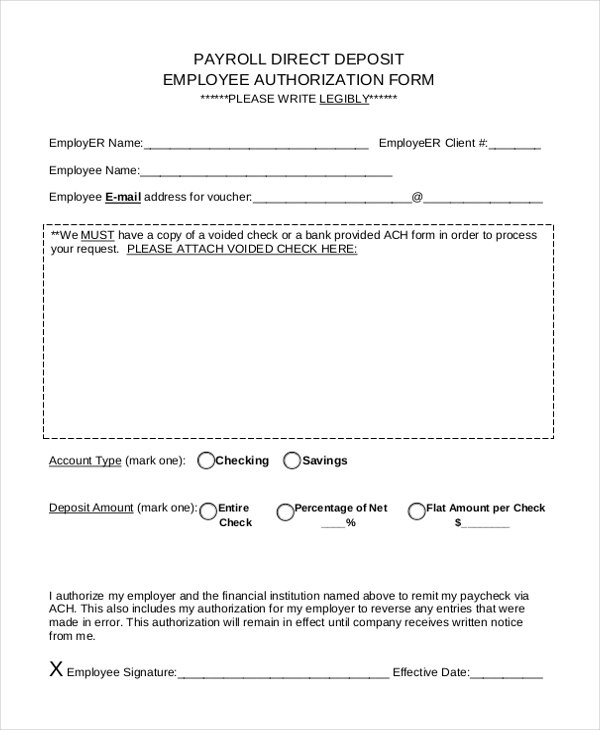 You can use this form to authorize your boss to make direct deposits to your account. By giving your employer the right to make payments through direct deposit, you can be so sure that you will get your payment the same day your boss send out payments. Because a payroll direct deposit is an efficient way to receive payments, many employees often choose to get their payments through this method. 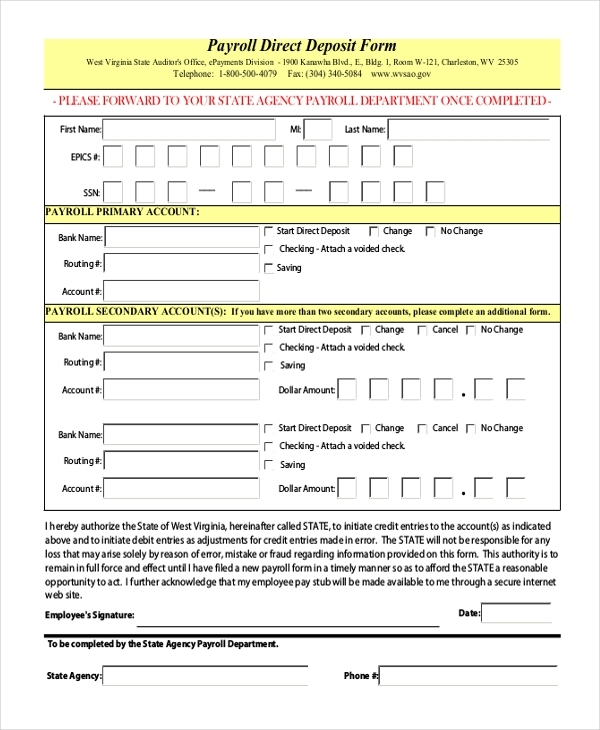 Thus, you can use this form to authorize direct deposits. 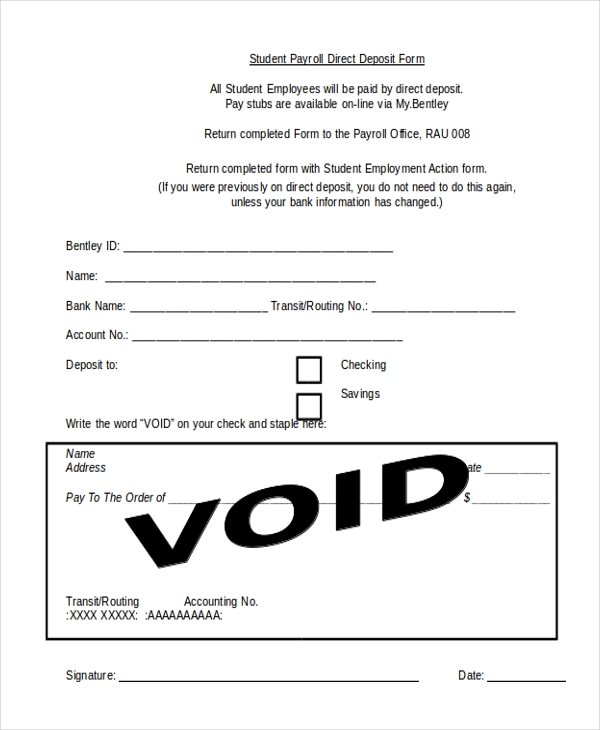 This form is best for students who prefer direct deposits to checks. It is highly likely that learners always need money fast, so checks aren’t exactly the best means for receiving payments. What are the Benefits of Direct Deposits? Is Payroll Direct Deposit Cost Efficient? 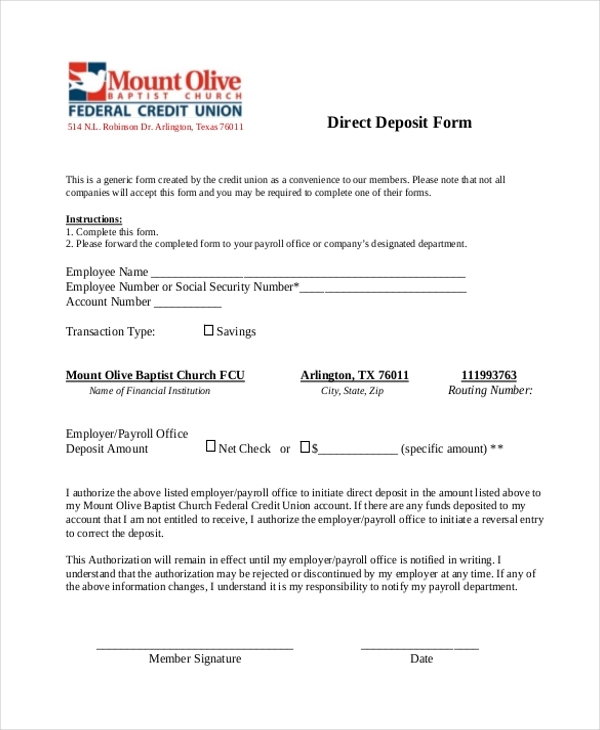 By filling a payroll direct deposit form, you give your employer the permission to make your payment through direct deposit. Perhaps the preliminary advantage of direct deposit is that you get your money the same day, but of more significance is there are hardly any charges incurred. That means that neither you nor your boss will incur any deposit costs. Moreover, employees often need the assurance that they will not miss their payments, which means that making any payment via direct deposit is usually the best payment strategy on the market today. Moreover, waiting for two to three days for a check to mature could be somewhat inconveniencing. 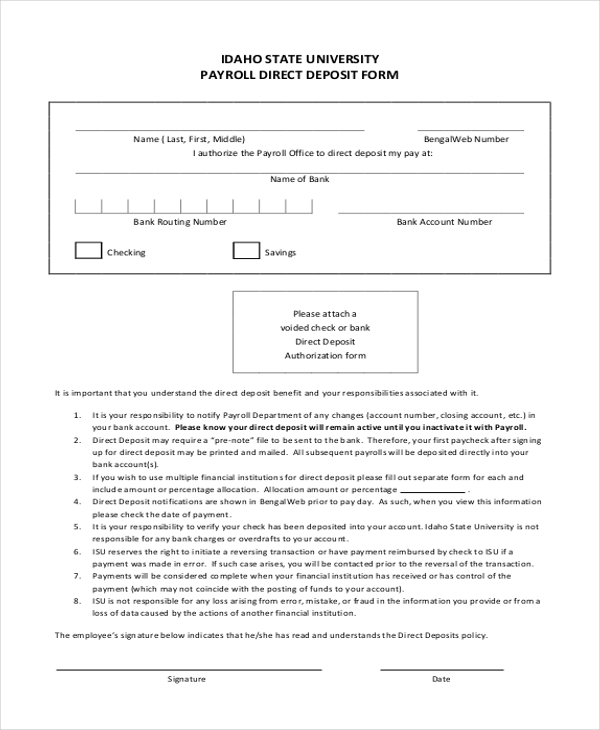 What are the Advantages of Payroll Deposit to Employers? 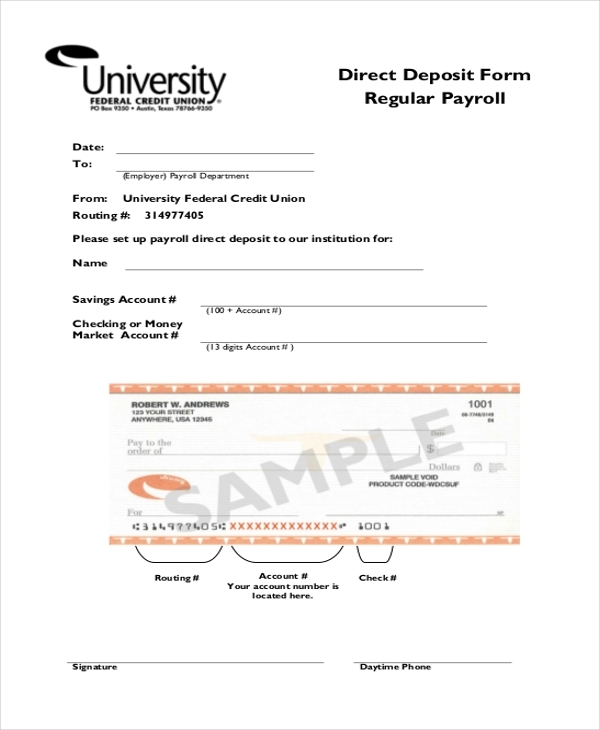 Indeed, Payroll Direct Deposit forms are helpful tools. The best thing is you never have to spend time creating the template yourself; a good design is already available, and you can download it just with the click of a mouse. The form is more convenient because it eliminates the need to spend time writing checks every month.